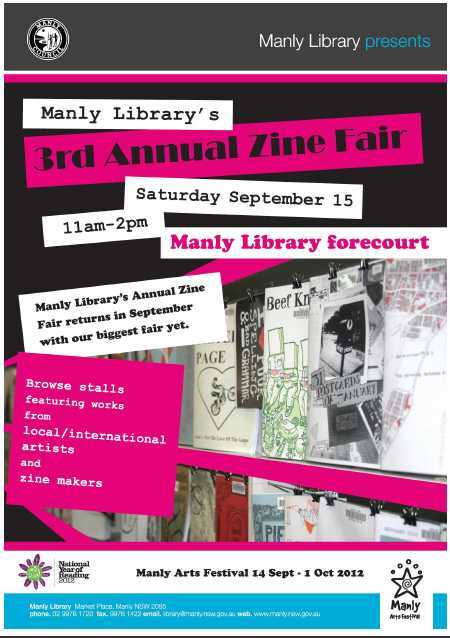 Just an early bird reminder that I’ll be at the Manly Zine Fair on the Saturday the 15th of September. Probably from 11am to 2pm or something like that. It’s pretty casual, but it should be fun. And they have a section in their library for zines. Some of mine are in there.